Defining simplicity isn't simple, simplicity in fact is a rather complex concept. 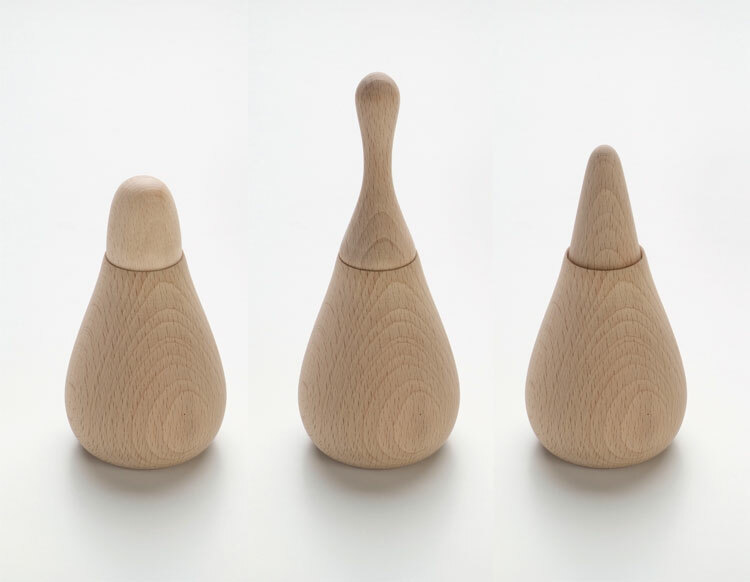 Based on a theoretical reflection of the meaning of simplicity in different areas of culture as well as in its historically changing and recent uses, possible criteria of «simple» designs were developed and implemented in an exemplary way with the designs. 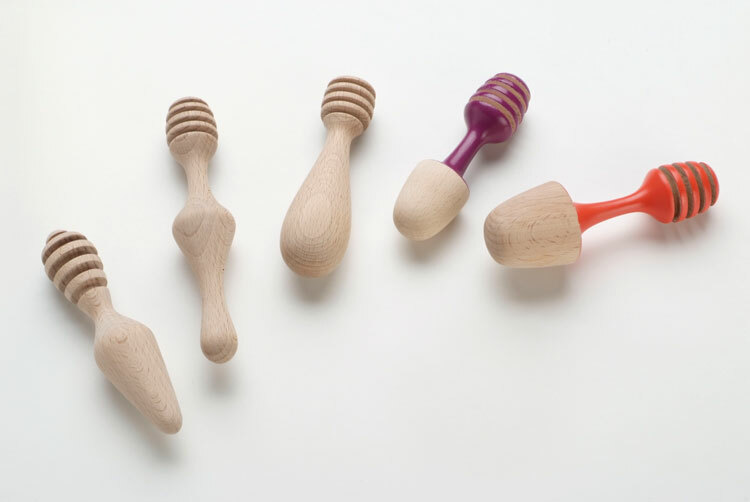 «Tout sucre, tout miel» is the result of this creative examination – two simple designs, a sugar bowl and a honey pot made of beechwood, including a variety of matching spoons. 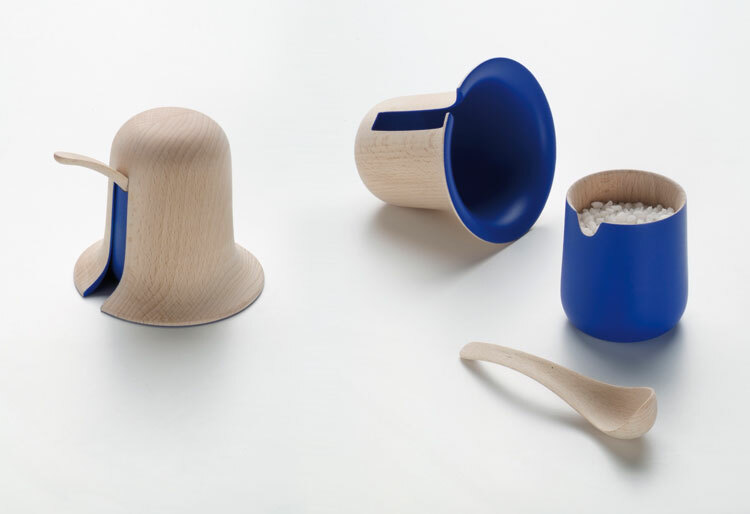 The sugar bowl surprises when lifting the cover through its vivid blue coating and the spoon fits neatly into the gap. 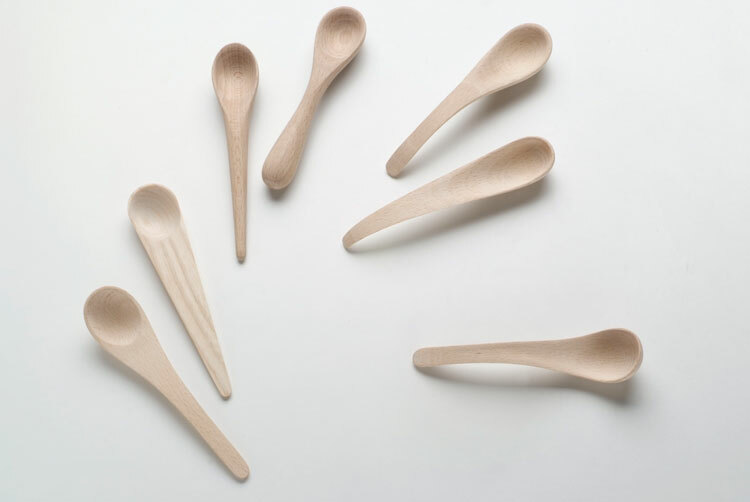 All parts are characterized by their fluent shape and their constant curves. 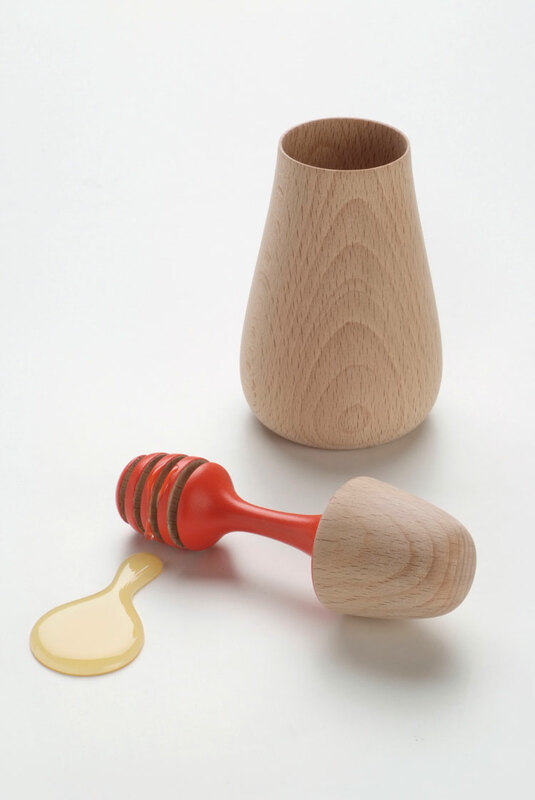 The design of the honey pot integrates a special honey spoon into the lid and thereby avoids the problem of placing the sticky lid during usage. 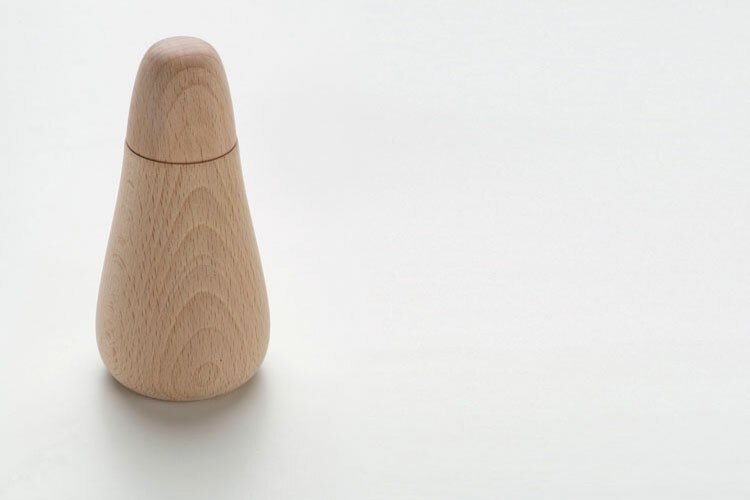 When closed, the visible part of the lid completes the pot to a drop-like continuous overall shape.